As summer comes to a close, CCR Book Club Book members will be gathering again for their lively book discussions and lovely meals! 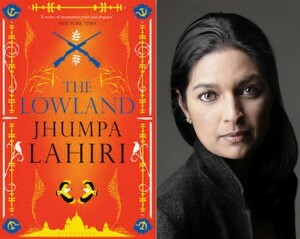 This month's book pick is "The Lowland" (2013) by Pulitzer Prize winner Jhumpa Lahiri. The Guardian's review said the "personal and political are beautifully balanced" in this novel. "The Lowland" is available in paperback at Feltrinelli International, near Piazza della Repubblica. It's currently being sold at a discount, €14.59 instead of €17.40. It was recently published in Italian by Guanda, its title changed to "La moglie."